Film Forum is a 501(c)(3) cultural institution, chartered in New York State as FILM FORUM, Inc. 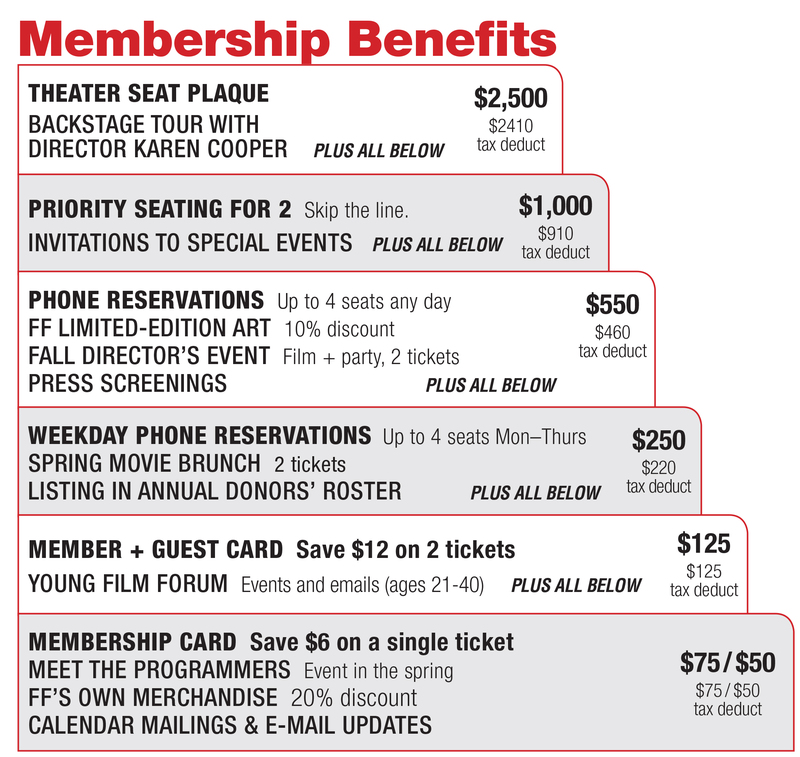 Your gift is tax-deductible (please see the Membership Benefits pyramid for details). After you have filled out all required information and completed checkout, you will receive a receipt by email. Please keep it for your records.